Posted June 13, 2014 by The Rapid & filed under Events. High gas prices are a pain. Thankfully there’s a solution that can not only save you money but also help the environment in the process. It’s time to dump the pump, park your car, and catch a ride on The Rapid! Fortunately there’s an honorary day every year for doing just this. 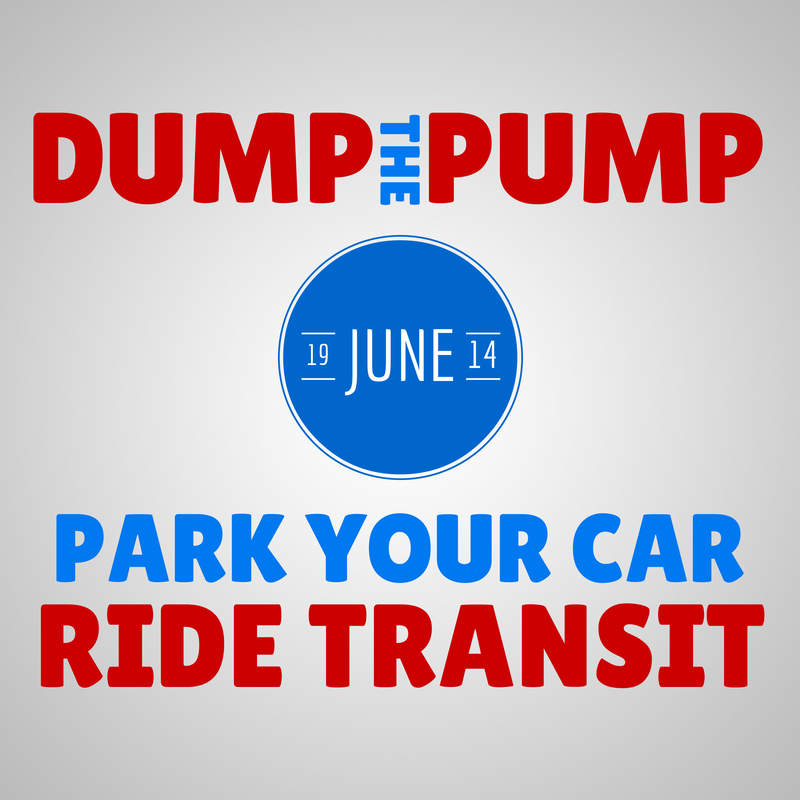 The 9th annual Dump The Pump Day takes place this Thursday, June 19! While many of you celebrate dumping the pump every day just by riding with us, we want you to go above and beyond this coming week. In honor of Dump The Pump Day, we want to see how you Dump The Pump. It’s easy! You’ll have from June 16 to June 20 to post a photo and caption on our Facebook page of you riding the bus, walking, biking, or any other type of active transportation. Make sure to use the hashtag #DumpThePumpGR along with your caption. Those who post photos will be entered to win one of three prize packages. We will choose three winners at random on Friday, June 20. Get creative with your photo ideas and don’t be shy! – photo of your bike, longboard, etc. Aside from our week-long Dump The Pump photo contest, we will also be hosting a Dump The Pump Celebration on the platform at Central Station on Thursday, June 19 from 1-3pm. Be sure to stop by for a chance to win prizes and get your picture taken. Now get out there and snap some photos with your camera or smartphone and show us how you Dump The Pump here in Grand Rapids!